Although the B-vitamins are often grouped together, because they are generally found in the same foods, there are great benefits to each of them individually as well. Depending on what symptoms you are facing, and what areas you are looking for assistance with, supplementing with specific B-vitamins, rather than a B-complex, may sometimes be beneficial. Vitamin B1, for example, can be used for relief from painful menstruation and to increase energy in people suffering from hypothyroidism. 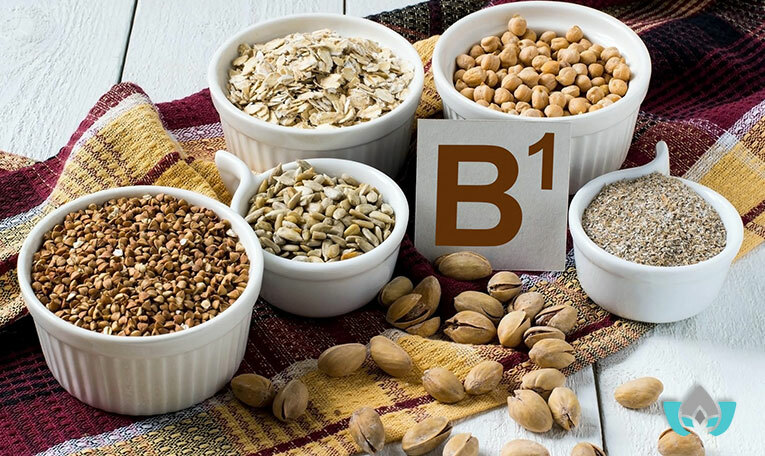 Let’s have a deeper look at vitamin B1, and how it may be used. Vitamin B1, also called Thiamine, is used by the body to help process carbohydrates. It plays an important role in nerve, muscle, and heart function. It is water-soluble, so any excess B1 which the body is unable to use will be excreted in the urine, making it very difficult to ever have too much B1 in your system. Vitamin B1 has many benefits. As noted, it plays important roles in metabolism, nerve, and muscle function. Let’s take a closer look at some of these benefits. Taking thiamine supplements orally can help to correct metabolic disorders. It has been shown effective for some genetic diseases, such as Leigh’s disease, maple syrup urine disease, among others. A cataract is a clouding of the lens of the eye, which is located behind the iris and pupil. They are the most common cause of vision loss in people over the age of 40, and thus preventing them is important for overall vision health. Thiamine deficiency may result in blurred vision due to swelling of the optic nerve. There have been links to a high thiamine diet and a reduced risk of developing cataracts. There is some research to suggest that taking thiamine supplements for 90 days may stop or reduce pain associated with menstruation between 12 and 21 years of age. Fatigue associated with thyroid problems may be linked to a Thiamine deficiency in these patients, thus supplementing them with it may improve energy levels. There are a number of undesirable symptoms which can occur when an individual has a vitamin B1 deficiency. Here we will take a look at some of these symptoms. Feeling irritable, agitated, and frustrated is often one of the first symptoms of a thiamine deficiency. It may begin to show as early as days of becoming deficient, or after a few weeks. It has been especially linked to infants with beriberi, which is a disease caused by thiamine deficiency. Scientists believe thiamine helps to control the “satiety centre” in the hypothalamus of the brain. This is what causes the body to feel full, and when there is thiamine deficiency it can cause the body to feel full even when it is not, leading to a loss of appetite. As previously stated, thiamine plays a role in nerve function. This damage to the nervous system can cause reduced or absent reflexes of the knee, ankle, and triceps. As the deficiency progresses, it may affect coordination and ability to walk. There can be many reasons for muscle weakness, and the cause is not always immediately known. Persistent, long-term muscle weakness may be a symptom of thiamine deficiency. If you are experiencing unexplained muscle weakness, looking at if you are getting enough thiamine might be something to consider. Gastrointestinal symptoms are not as common as the other symptoms of thiamine deficiency, however in some cases nausea and vomiting may result. The reason for these symptoms is not clearly understood, however it seems to be more common in infants with thiamine deficiency. Are you worried about vitamin B1 deficiency? Are you experiencing any of the symptoms listed above, but can’t pinpoint the cause? Contact me, Dr. Maria, at the Mindful Healing Clinic to book an appointment today. If you’ve never been here before, or if you’re new to naturopathic medicine and want to find out more, I offer a FREE 15-minute introductory session. During that session, you and I will sit down and talk about your health concerns. I’ll answer any questions you may have, and from there we can talk about what your options are. 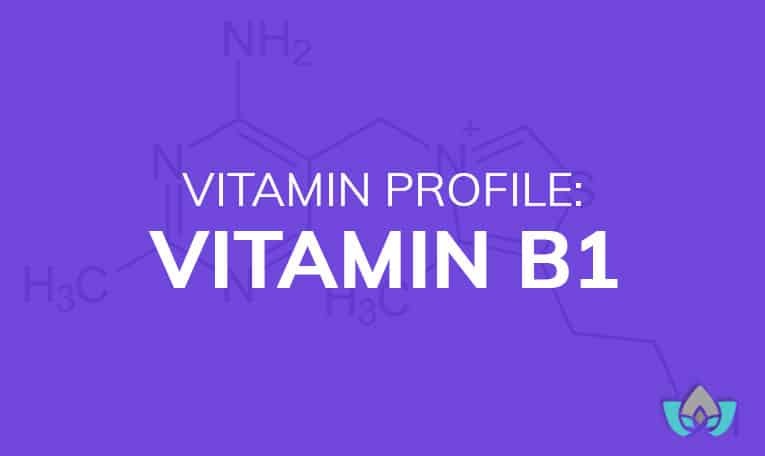 Some of the above symptoms have been linked with multiple different disorders, so their presence doesn’t necessarily mean you’re deficient in vitamin B1. However, it’s still a good idea to see a professional so you can pinpoint the cause. Contact us at the Mindful Healing Clinic today.